The company says it's working on it. Amazon Echo users are reporting that Alexa, the virtual personal assistant that comes with several devices in the Echo line, sometimes begins to break into an unprompted fit of laughter — occasionally doing so at inappropriate times. The apparent malfunction seems to have first come to light in February 2018, as videos of Alexa spontaneously producing a childlike cackle began cropping up on Twitter. One of the earliest tweets about the laughter was made by user @CaptHandlebar on Feb. 22 and is featured at the top of Twitter’s Moments page. In an attached video, listeners can clearly hear Alexa’s laugh come out of a JBL Bluetooth speaker paired to an Amazon Echo Dot. “I thought a kid was laughing behind me,” the tweet reads. Another Twitter video, posted by user @annielbonannieTN, shows Alexa producing the laughter from the default Amazon Echo speaker. Other users noted that the laughter occurred at inopportune times and was sometimes preceded by the device’s unwillingness to perform requested tasks. “We got home and, totally unprompted, our Amazon Echo/Alexa started talking. And then i realized it was listing off local cemeteries and funeral homes??? I'd rather it laugh at me tbh,” tweeted user @HeyItsKamo. “Lying in bed about to fall asleep when Alexa on my Amazon Echo Dot lets out a very loud and creepy laugh... there’s a good chance I get murdered tonight,” tweeted user @GavinHightower. Amazon later added that it had identified the issue and had a solution. 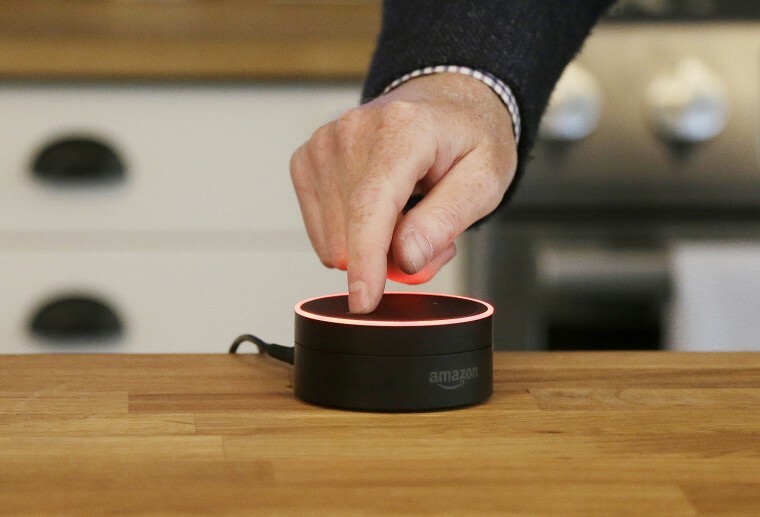 Amazon first introduced Alexa alongside the Amazon Echo in November 2014. The assistant was apparently inspired by the computer onboard the Starship Enterprise of “Star Trek.” Users interacting with Alexa can set alarms, request the weather forecast, play music and a variety of other tasks. Other virtual personal assistants include Apple’s Siri, which released on the iPhone 4s in 2011, Microsoft Cortana, which debuted in 2014, and Google Assistant, which was released alongside Google’s instant messaging application Allo in 2016.